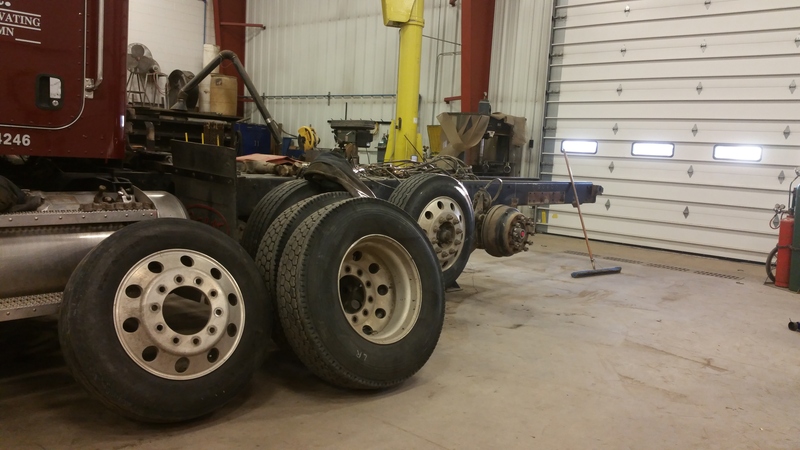 One of our newer dump trucks was purchased a few years ago with a spring ride rear suspension. This makes for a miserably rough ride both on and off road. Finally, after several drivers rotated in and out of #12 the powers that be made the decision to upgrade the suspension system this truck should have had from the factory. Update – I’m told that the addition of the air ride suspension has completely transformed this quint from the truck no one wanted into the perfect dump truck. It’s not surprising really.